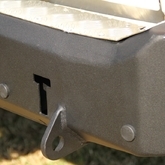 Bashplates protect your car’s underside when you are driving off-road. 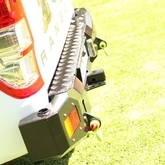 The winch plate for the Fortuner and Hilux allow you to fit a winch behind the standard bumper. 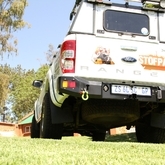 Stofpad4x4 is a South African manufacturer of aftermarket 4×4 and off-road products for vehicles, including bash plates, rock sliders, winch plates and rear bumpers for leading vehicle manufacturers. 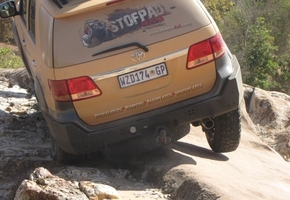 Stofpad4x4 is a South African company, owned and operated by 4×4 enthusiasts who are passionate about developing and manufacturing 4X4 accessories of superior quality and design to the South African public. 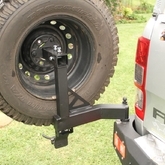 Are you in need of aftermarket products for your 4×4 or simply looking for advice on an upgrade? 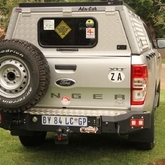 Contact Stofpad4x4 for all your extreme 4×4 aftermarket gear, by telephone, fax, email or even post. 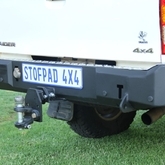 Stofpad4x4 is a South African company, owned and operated by 4x4 enthusiasts who are passionate about developing and manufacturing 4x4 accessories of superior quality and design of the South African public. 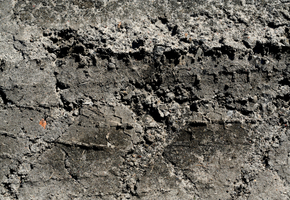 Please like our Facebook page to get regular updates and photos of our latest designs and products. 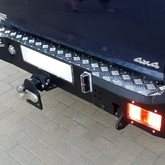 Are you looking for something specific for your 4×4? 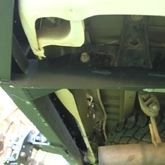 Please click here to send us an email with your requirements. 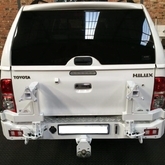 Give us a call at 012 654 7723 or 083 399 2046. 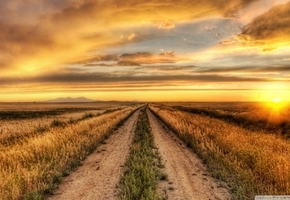 You can also send a fax to 086 518 0130.